IKEA stocks so many items that it’s not just a store it is a shopping experience. In the lighting section of the store Owen Weikert found a light that expands from a ball into an artistically shaped lamp. 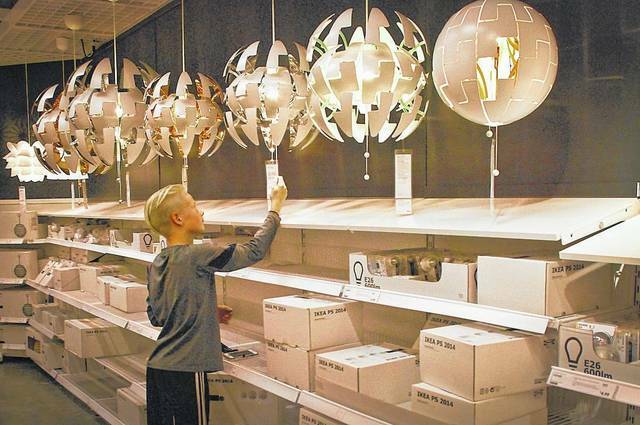 The Columbus IKEA store often draws customers who have driven a couple of hours to shop for its products or eat their ethnic fare. “The people who are shopping are not there to shop for just one item,” said Joseph Roth, IKEA public affairs manager. IKEA officials report that everything has gone “smoothly” since the opening of the new Columbus store a month ago in the Polaris Centers of Commerce. 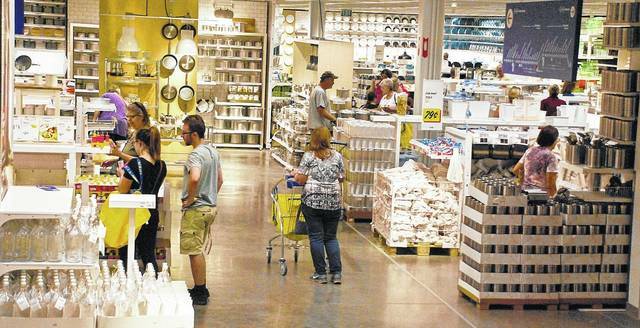 IKEA, the world’s leading home furnishings retailer, opened the doors of the store on June 7. It’s located at 1900 IKEA Way on the northeastern corner of the Interstate 71 and Gemini Place interchange. The Swedish company’s Columbus store is the second in Ohio, the 44th in the United States, and 397th worldwide. The other Oho store is located in West Chester just north of Cincinnati. Roth said the Delaware County store is now transitioning from the opening phase to everyday business. He said the flow of customers has remained steady and constant. The store’s parking lot has approximately 1,100 parking spaces with three electric vehicle charging stations. IKEA Columbus employs approximately 325 people who live in Delaware County and the Central Ohio area. The store features 10,000 exclusively-designed items, a 450-seat restaurant, 41 inspirational room settings, three model home interiors, and a supervised children’s play area. Roth said the store often draws customers who have driven a couple of hours to shop for its products or eat their ethnic fare. Once dropping off their children in the play area, customers can ride the escalator up to showrooms displaying furniture and home goods for every room of the house that include appliances, bedding, picture frames, kitchen utensils, and shelving. The displays include backlit screens showing how a blind or curtain might appear as it hangs in a home. Lighted arrows on the floor lead customers around and through the displays with blue overhead signs offering shortcuts. The company stresses a green policy of using solar panels to eliminating plastic bags and using LED lighting. Supporting the company’s green policy, IKEA installed one of Ohio’s largest rooftop solar arrays on top of the Columbus store. This entry was tagged Central Ohio, delaware county, IKEA. Bookmark the permalink.